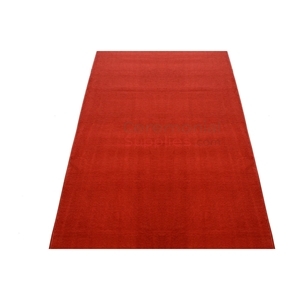 Queue management has become an essential part of operations in this day and age, because it can be the difference between the success and failure of a particular organized event, not to mention impact the efficiency of day to day operations in certain cases. 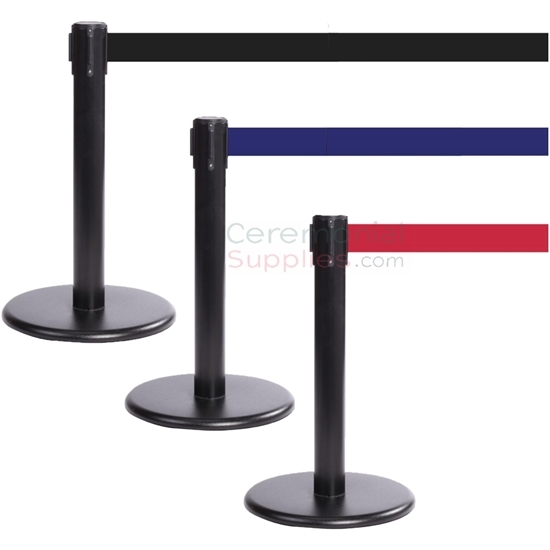 The Black Mini Stanchions with Retractable Belt are a tool that must be present in every organizer’s arsenal, as their unique size and expandable belt makes them an ideal choice for display based events, such as exhibitions, where the object in question can be displayed without impeding it, but at the same time creating an adequate off-limits area for the visitors. 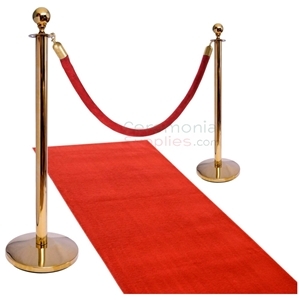 CeremonialSupplies.com has a collection of many other equally appropriate stanchions that might fit your unique needs, browse through to select the appropriate one.